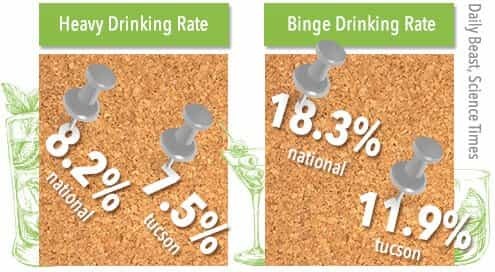 Spanning the roughly 226 square miles that make up Tucson, Arizona, are plenty of scenic views, but many who live in the desert mecca are in need of help.1 The city is also home to a large number of people who are dependent on drugs and alcohol. Most of the time, law enforcement is well aware of trafficking practices and the people involved in them. The immediate goal isn’t to arrest every single person who is transporting a bag of marijuana across state lines. If a dealer can lead law enforcement to bigger prospects with links to the international drug trade, officials may just keep a watchful eye on those individuals until they can make a large-scale drug bust. Some 294,000 of the 6.5 million people living in Arizona suffer from at least one mental health disorder.32 That’s around 4.5 percent of the state’s population. Treatment is highly encouraged for anyone suffering from any type of mental health issue. Without it, many mental health conditions can worsen, as can substance abuse habits. In 2006, 979 people took their own lives in the state of Arizona.33 Many of these individuals were suffering from episodes of depression, anxiety, and other mood stability issues. The way treatment is rendered is at the discretion of state and federal governing agencies. When it comes to mental health, just 18 percent of the state’s residents who struggle with severe forms of mental illness – like schizophrenia and bipolar disorder – actually receive treatment.37 Contact the Arizona Department of Health Services, the National Alliance on Mental Illness, Southern Arizona Chapter, or the Amistades, Inc. for more information on treatment options in the Tucson area. “State & County QuickFacts.” (2014). United States Census Bureau. Accessed September 20, 2015. “Adult Substance Use in Arizona 2010.” (2010). Arizona Health Survey. Accessed September 20, 2015. “Youth Risk Behavior Surveillance — United States, 2011.” (2011). Centers for Disease Control and Prevention. Accessed September 20, 2015. 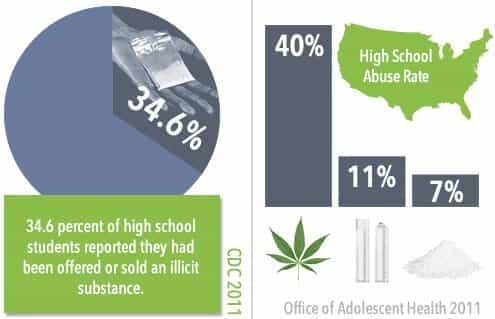 “United States Adolescent Substance Abuse Facts.” (n.d.). Office of Adolescent Health. Accessed September 20, 2015. “Tucson leads nation in rise of drug arrests.” (2008 May 6). Tucson Citizen.Accessed September 20, 2015. “DrugFacts: Marijuana.” (Sep 2015). National Institute on Drug Abuse. Accessed September 20, 2015. “Synthetic Marijuana Lands Thousands of Young People in the ER, Especially Young Males.” (n.d.). National Institute on Drug Abuse. Accessed September 20, 2015. Innes, S. (2015 May 31). “Drug overdoses in Pima County cause more than 300 deaths per year.” Arizona Daily Star. Accessed September 20, 2015. “Offenses.” (2015 Jul 25). Federal Bureau of Prisons. Accessed September 20, 2015. “Prisoners in 2014.” (Sep 2015). Bureau of Justice Statistics. Accessed September 20, 2015. “Arizona High Intensity Drug Trafficking Area.” (2011). U.S. Department of Justice.Accessed September 20, 2015. 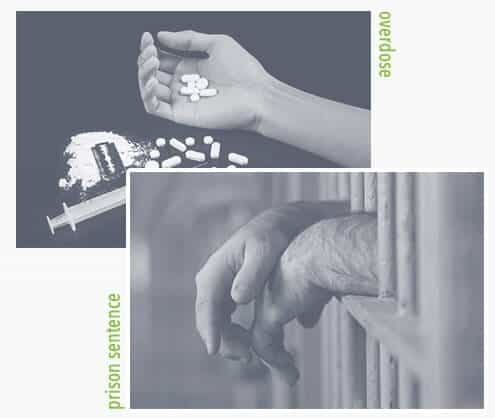 “Arizona Drug Possession — Possible Punishment and How to Avoid It.” (2011 Sep 18). Avvo. Accessed September 20, 2015. “Arizona Cocaine Laws.” (n.d.). FindLaw. Accessed September 20, 2015. “Arizona Heroin Laws.” (n.d.). FindLaw. Accessed September 20, 2015. “Drunkest Cities.” (n.d.). Daily Beast. Accessed September 15, 2015. Gannon, M. (2012 Aug 20). “How much alcohol do US drinkers consume on average?.” Fox News. Accessed September 20, 2015. “Drunkest Cities.” (n.d.). Daily Beast. Accessed September 15,2015. Wu, B. (2015 Apr 24). “Bottoms Up: Americans are Drinking Way More than Ever Before.” Science Times. Accessed September 20, 2015. “Alcohol Use.” (n.d.). Centers for Disease Control and Prevention. Accessed September 20, 2015. Cruz, V.M. (2014 Jan 13). “DUI arrests down in Arizona in 2013.” Arizona Daily Star. Accessed September 20, 2015. “Substance Use and Mental Health Estimates from the 2013 National Survey on Drug Use and Health: Overview of Findings.” (2014 Sep 4). Substance Abuse and Mental Health Services Administration. Accessed September 20, 2015. “Substance Abuse Treatment Facility Locator.” (n.d.). Substance Abuse and Mental Health Services Accessed September 20, 2015.Administration. Accessed September 15, 2015.